Big things are happening at BlackBerry, not least of which is the cross-platform-ization of its 60-million-user strong messaging service, BlackBerry Messenger. But according to a new Wall Street Journal report, BBM may be on the move in more ways than one. With the help of "people familiar with the matter," the Journal reported BlackBerry is kicking around the notion of spinning Messenger into a subsidiary. BBM Inc., as it would be called, would operate with greater independence from the mother-ship TCFKARIM (The Company Formerly Known As RIM, as dubbed by Gareth Beavis). The plan is ostensibly aimed at making BBM a more valuable asset as it moves towards a potential sale. However, the new Inc. would also focus on new services and products. Extending video chat is one prong of the BBM puzzle, but the report also noted BlackBerry's plans to introduce Channels. The Twitter/Facebook page mash up was announced in May, but it's been stuck in beta since. 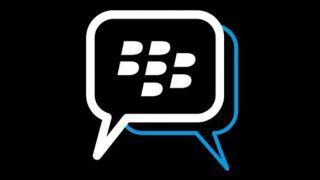 The Waterloo-based company is also considering extending BBM to desktops, according to a WSJ source. BlackBerry Messenger is headed to iOS and Android, as prematurely released user manuals and Samsung teases can attest to. The move to other platforms is likely an attempt to up BBM's value before it's spun off or BlackBerry en masse is sold, chopped up or whatever the special task force looking into "strategic alternatives" decides. We asked BlackBerry for a response to the Journal's report, but were told that it doesn't comment on speculation or rumors. Gareth Beavis isn't just good at coming up with acronyms - read on for piercing analysis of BlackBerry.